InGameConfigManager - Modify your config INGAME! 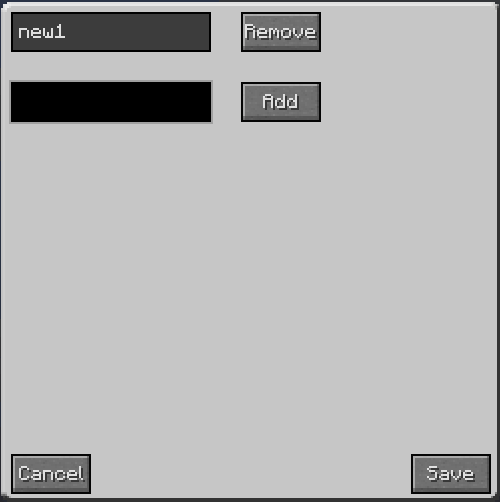 If you add this field/ methods to your recipe class InGameConfigManager will be able to read your recipe input. Maybe i will release a new version today. try testing this mod with thermal foundation/expansion/dynamics i keep getting stuck at main menu however no crash report appears. Could you send me the log file? [18:29:39] [Server thread/DEBUG] [FML/]: Reverting to frozen data state. [18:29:39] [Server thread/INFO] [FML/]: The state engine was in incorrect state ERRORED and forced into state SERVER_STOPPED. Errors may have been discarded. [18:29:39] [Server thread/INFO] [FML/]: The state engine was in incorrect state ERRORED and forced into state AVAILABLE. Errors may have been discarded. [18:30:05] [Server thread/DEBUG] [FML/]: Reverting to frozen data state. [18:30:05] [Server thread/INFO] [FML/]: The state engine was in incorrect state ERRORED and forced into state SERVER_STOPPED. Errors may have been discarded. [18:30:05] [Server thread/INFO] [FML/]: The state engine was in incorrect state ERRORED and forced into state AVAILABLE. Errors may have been discarded. might be a server issue but I'm unsure. This happens when i try to start a world. Try to use the newest version of CreativeCore (v1.3.2) this should fix this problem. Can I import scripts from crafting manager? It seems to have lost the item info in the process, so matching the shape with any item (i.e. dirt) will give the output. 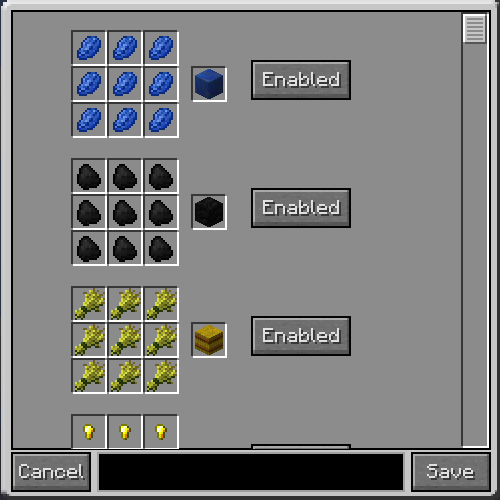 this seems to also override vanilla recipes with the same shape like chests and furnaces. Might also be because the version I made the files with was out of date. Nope old scripts aren't supported anymore sorry about that. 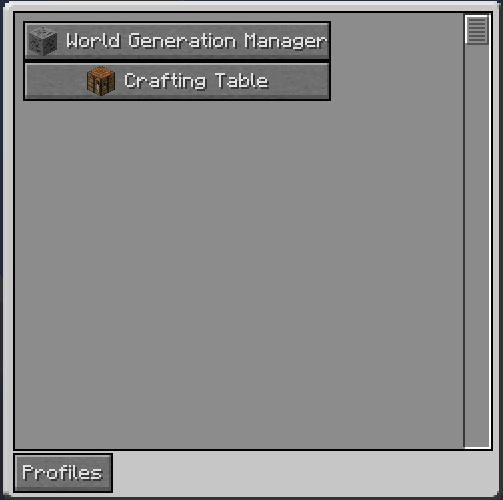 I have this problem just trying to start up minecraft with ingameconfigmanager and creativecore by themselves. Try out the newest CreativeCore i tested it and it worked out. i get the same thing i believe. I'm using forge 10.13.4.1448 for 1.7.10. I use 10.13.4.1492, but i tried 10.13.4.1448 too. I tested it using Forge 10.13.3.1408 and 1448.No errors everything worked fine. Maybe you have not enough permgen space? I see you are using an older version of forge but thats not the problem i tried using Forge 10.13.3.1408 and i get the same error. I tried using just InGameConfigManager v0.0.4 & CreativeCore v1.3.3 with no other mods and it crashes with the same error. I don't know about permgen space, i never had a problem with it (i am playing my modpack with over 200 mods and i have no errors). Doesn't seem to be a permgen problem still getting the same error.